November 29, 2018 1 comment on "Gingerbread Crinkle Cookies"
Every year I am always looking for new Christmas cookie recipes to try for Christmas cookie exchanges and also to give away to family and friends for the holiday season. 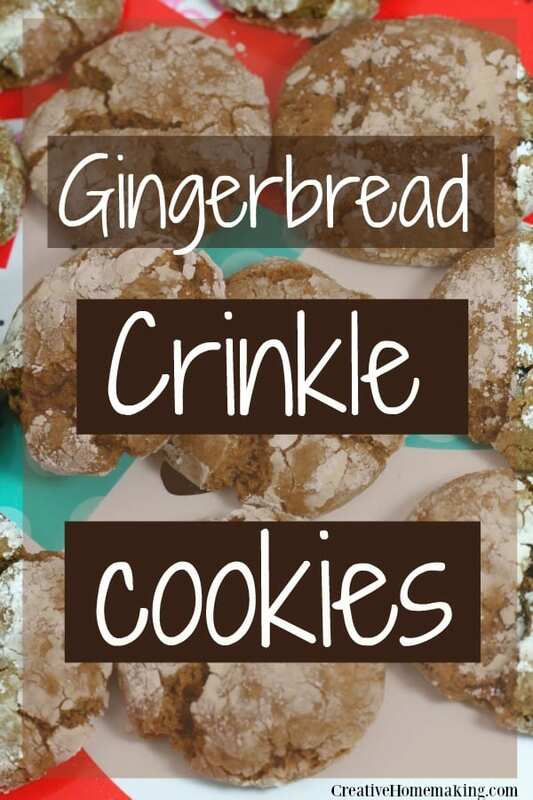 This year I decided to give these gingerbread crinkle cookies a try, and they are really good! I will definitely be making them again next year. My mom always made gingerbread cookies when I was a kid, but I never really got in the habit of making them as an adult. A couple of years ago I started making them again and have now gotten into the tradition of making them every Christmas. 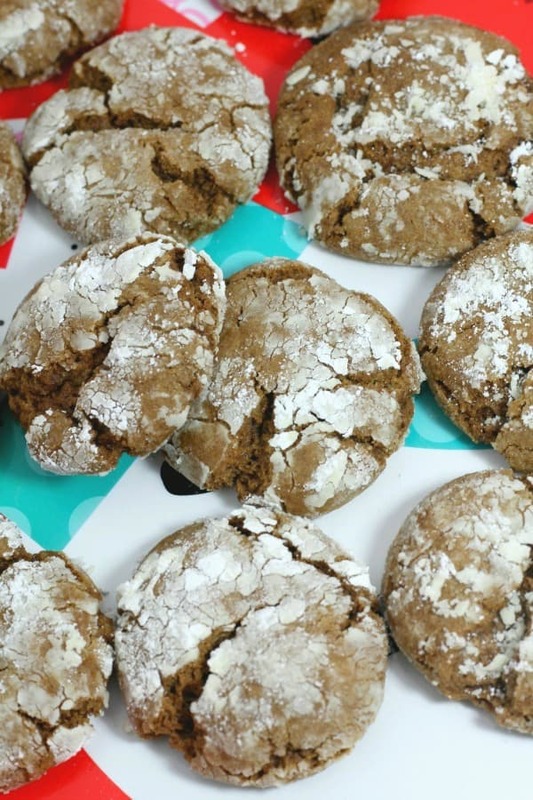 I was excited to find this gingerbread crinkle cookie recipe because I wanted to see if they taste like the gingerbread cookies I am used to, and I wasn’t disappointed. 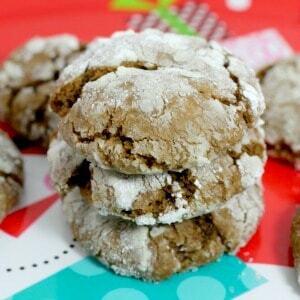 These gingerbread crinkle cookies have all of the taste of traditional gingerbread cookies. In a large bowl, mix together flour, brown sugar, baking soda, cinnamon, ginger, cloves, nutmeg, and salt, until they are well combined. In a separate bowl, mix together the softened butter, egg, molasses, milk, and sugar until light and fluffy. Mix the wet mixture and dry mixture together until everything is well mixed together. Shape the cookie dough into 1-inch balls, and then roll each ball into powdered sugar. Make sure the cookie dough balls are covered with a thick coating of powdered sugar. A lot of the powdered sugar will melt into the cookie while baking, so you can’t put on too much. Place balls on cookie sheet and bake for 10 minutes, or until edges of cookies are browned and centers are no longer soft. Cookies will flatten and “crinkle” while baking. If you find your cookies are flattening too much, place the dough in the freezer for 30 minutes so that the dough will not be so soft. New to baking cookies? Make sure to check out my 5 secrets for making better cookies. 1 Comment on "Gingerbread Crinkle Cookies"